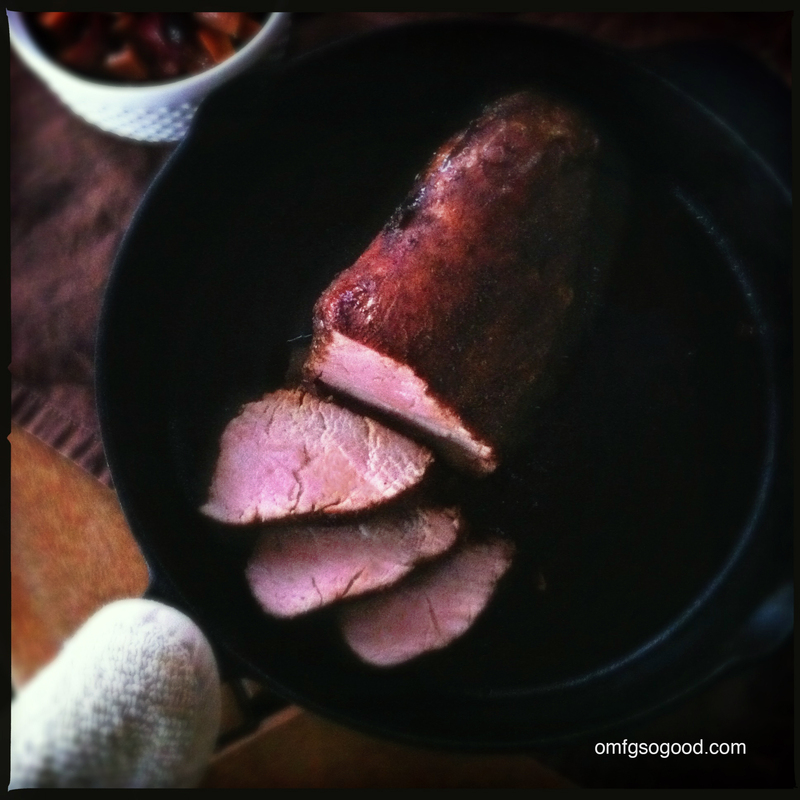 spiced espresso pork tenderloin | omfg. so good. Well, this one’s for you, Big-D. I don’t know about you, but I always have an extra pork tenderloin in the freezer for emergency dinner situations. They’re relatively inexpensive and super easy to perfect with just a few basic ingredients. 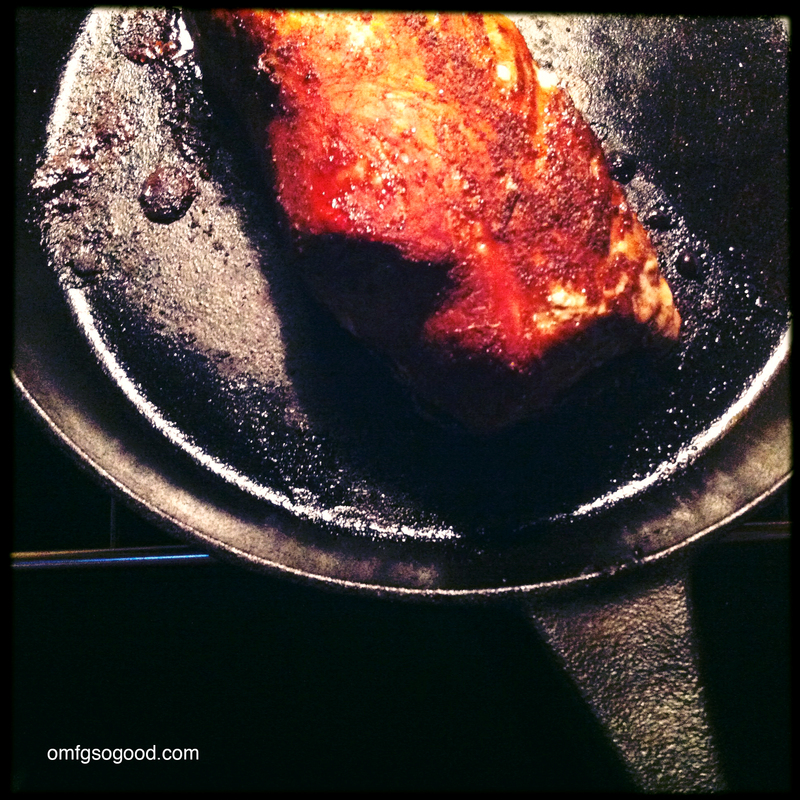 Throw a cast iron skillet into the equation and you can’t go wrong. What’s that you say? You don’t stock your freezer with emergency pork products? Well guess what… this simple dry rub would actually be really good on ribs, steak or pork chops too so there’s simply no excuse. Just do it. Trim the pork tenderloin of any remaining silver skin, rinse and pat it dry then drop it into a ziplock bag and set aside. Mix all of the spices in a bowl then pour them into the ziplock bag, seal and massage the dry rub into the meat. Seal and refrigerate for an hour. Remove from the oven and allow the meat to rest for 15 minutes (in the pan) before slicing. I actually DO stock my freezer with emergency pork products. I happen to have a tenderloin in the freezer. I will try it out. But what is espresso powder? Is that just really finely ground espresso? It’s instant espresso so it’s super finely ground. You can find it in the coffee aisle with the other instant coffee. Pingback: roasted sweet potato salad | omfg. so good. This looks Interesting D#%& GOOD. I am going to give it a whirl. You have a wonderful site here and some yummy looking comforts!